HomeInternet BankingHow to Register For Andhra Bank Net banking Online? Do have an account with Andhra Bank? How do you stay updated on your account? Updating passbook or obtaining banking statement is the traditional way. What if you need to transfer funds from your account to another account? Visiting the bank physically is also a traditional way. You need to embrace the modern way of banking! Internet Banking Services is popular option to get access control over your account. If you haven't yet activated Internet Banking Services, get registered today. You are losing the opportunities of accessing banking services with your convenience! 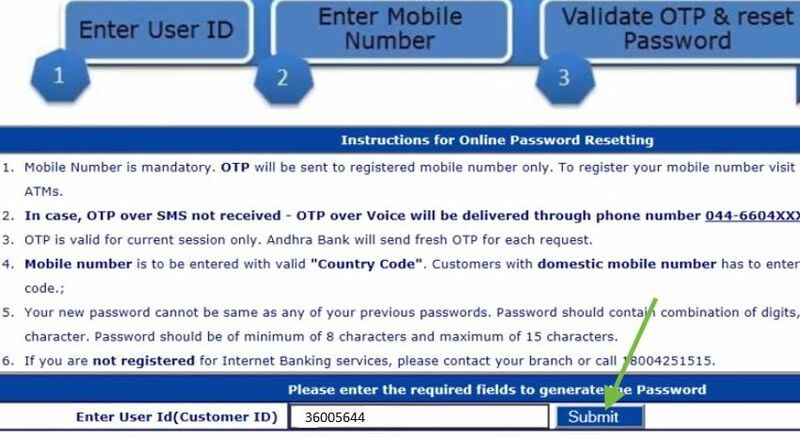 To register and activate Andhra Net Banking Online, you need to follow few steps. 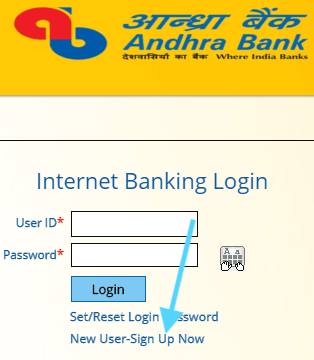 Step 1: Open your web browser and enter andhrabank.in and will get directed to the official website of Andhra Bank where you can find Internet banking login tabs on the right side of the page. Now click on retail login and proceed further by clicking the 'continue login to netbanking'. To start net banking registration process, click on 'new user sign up now'. Step 2: You will get directed to a new page where you need to enter your Customer ID. You can obtain the Andhra bank Customer ID from your passbook or from the kit you received from the bank while opening your account. The new page also displaying two options, i.e. 'Mobile Number Registered with Bank' and 'You Have a Valid (Active) Andhra Bank, ATM Card'. Select the option as preferable for you and click on 'Continue'. Note: If you don't have the Customer ID with you, you can get it upon request from the bank. 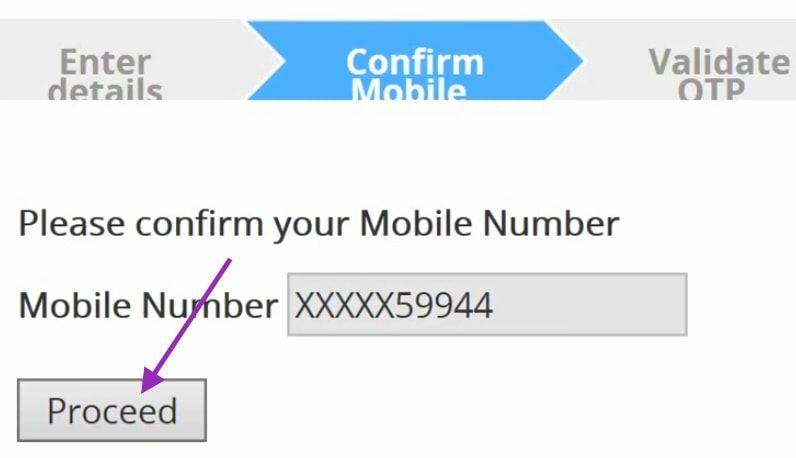 Step 3: On the new page, you need to enter the Registered Mobile Number for confirmation and click on 'Proceed'. 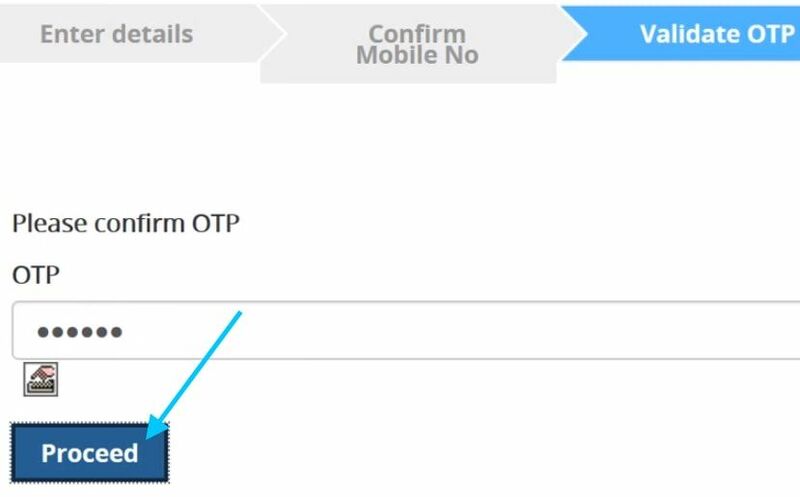 Step 4: You will receive an OTP on the provided mobile number. Enter the OTP in the provided box and click on 'Proceed'. The monitor will display 'Click here to set your password'. You need to click on it. Step 5: A new page will appear on the screen where you need to enter the Customer ID/User ID once again in the provided box which you can find at the end of the page. After entering the Customer ID click on 'Submit'. Step 6: The next step is to set the password. Enter a strong Password in the box of 'New Password' and 'Retype New Password'. Make sure to read the instructions for setting the password. Step 7: After successful generation of the password, the screen will display 'Your Sign-On Password has been Generated Successfully'. Click on 'Click Here to Login' button. Step 8: You will get directed to a new page for 'Personal Login' which displays two boxes to enter the User ID and Password. Enter the User ID and Password and click on Submit. Then, change signon and Txn password. Now, you have successfully activated Andhra Net Banking Services online, and you can use it anytime and anywhere. Make sure to remember the User ID and Password to get access to your Andhra Bank account online. You can easily make transactions and stay updated about your account without visiting the bank! 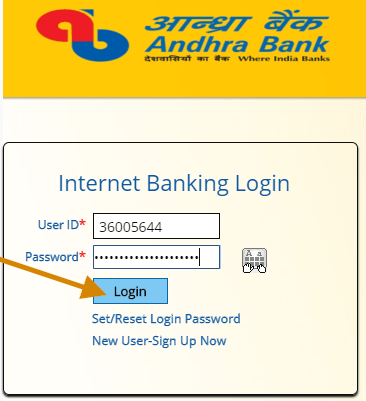 How to andhra bank instant registration for net banking. How to do andhra bank instant registration for net banking?